New York Times bestselling author Veronica Roth's much-anticipated second book of the dystopian Divergent series is another intoxicating thrill ride of a story, rich with hallmark twists, heartbreaks, romance, and powerful insights about human nature." First line: "I wake with his name in my mouth." Thoughts: I am not kidding. It has taken me almost a month to write this review. Why? How do I summarize in so many words the epicness of this book? My words will not do it justice. This review will not do it justice. Believe me, you have to read it to understand why I am so awed and why this trilogy is becoming an all-time favorite of mine. 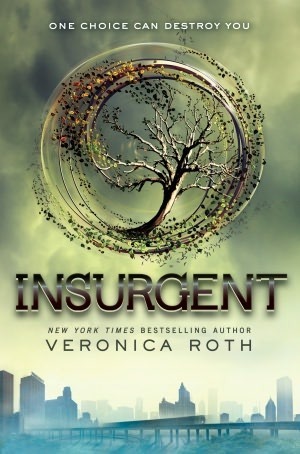 What does INSURGENT have to offer it's readers? Romance? CHECK! A daring, courageous yet sometimes infuriating protagonist? CHECK! A hottie to swoon over? CHECK, CHECK, CHECK! Treachery and suspense? Check and mate. INSURGENT kicks off right where DIVERGENT leaves off. The crew may have escaped the simulation and know the truth about the serum, but they are far from safe. Tris awakes with Will's name in her mouth and terror in her heart. War is on the horizon and the worst is far from over. 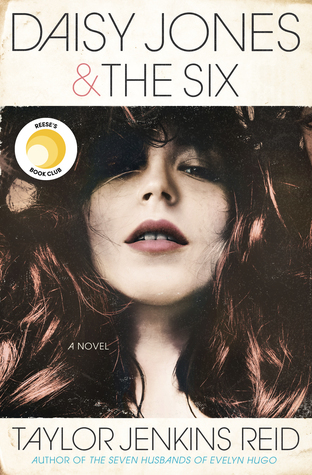 Stricken with grief and guilt, Tris begins on this tangent of things she believes will help. Sadly though, a lot of these actions are not necessarily noble and come off...how does Tobias put it? Oh yeah, reckless. The poor deary can't even hold a gun! That's how broken she is. Lucky for her, she has Tobias aka Four. One thing I loved about this book is how much developement there is, not just in Tris and Tobias but also the secondary characters we love to hate. It's crazy how much depth there is to these characters and how you never know who to trust or who will betray whom. Needless to say, when the world is filled with questionable people, it becomes a bit more complicated. One thing's for sure, it definitely makes for an unpredictable read! Another thing I love about this book is Roth's incredible storytelling. When I say it's suspenseful, I mean it. I read another reviewer describe INSURGENT as a psychological thriller, and I have to absolutely agree. There's some action, but not a ton, and while you can try to predict what's going to happen next, (like in my case) you'll most likely be wrong. And oh, lest not forget the writing. The writing is simply stunning. Lastly, can I just fangirl for a second about how much I love Tobias? Geez, if I wasn't a fan of him before, I sure am now. I swear, those little intimate touches and his way with words just makes me swoon from here to the moon. Oh, sweet goodness, what I wouldn't give to spend a day with Tobias! *waves hand at face* Oh, lawdy! That's southern speak for "I think I'm exploding with love and lust". Umm, how about neither of you die and we get back to the touching and kissing, eh? Sadly, I can't post one of my all-time favorite quotes because it's a bit of a spoiler. If you want to know it, feel free to message me on twitter or email me. Oh, and to Veronica Roth: THANK YOU SO MUCH FOR NOT HAVING A LOVE TRIANGLE! I'd hate to use my magical jumping into books ability and destroy him without your permission. There are no words. READ IT ASAP! I've already turned my childhood best friend on it. She's in med-school, has zero to no time, is getting married in June, and still found the time to read it. What's your excuse, hmmm? I thought so. Oh, and word of advice? I highly recommend rereading DIVERGENT prior to INSURGENT. There's not a lot of recapping, so it's best to have the last book fresh on your mind. Anyway, LOVE the review and your quotes are making me WAY too excited to finally pick this one up! *waves hand at face* Oh, lawdy! That's southern speak for "I think I'm exploding with love and lust". HILARIOUS! This is being delivered to my local lib for me- it will arrive any day. Huzzah your review makes me hope it is tomorrow! apa nama obat nyeri saat kencing keluar nanah di apotik? apa nama obat nyeri saat kencing keluar nanah? bagaimana cara mengobati nyeri saat kencing keluar nanah? bagaimana cara menyembuhkan nyeri saat kencing keluar nanah? bagaimana cara mengatasi nyeri saat kencing keluar nanah?